We all know about air compressors and its many types and usage. We have also been publishing basic information and overview air dryers which are widely used in both industrial applications and home applications. But to give our valuable customers and reader detailed information about what is an air dryer, how an air dryer works and what are the proper industrial and non-industrial uses of air dryers, as a leading air dryer manufacturer, we are presenting today in-depth knowledge on the workings of air dryers! There are many industrial applications and non-industrial/home applications where air dryers find their place. 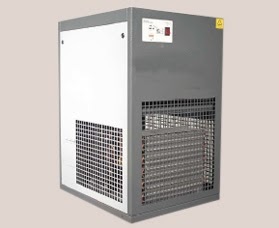 And the Refrigerated air dryer is one of the most widely used and one of the most important types of air dryers. So let’s get into know how a refrigerated air dryer works! Air Dryers have been long in use from now; they are widely used in both industrial or commercial applications and home applications. Technically speaking, an air dryer is equipment or the device which is used to remove the water vapor from the compressed air. The basic or the main function of the air dryer is to remove moisture from the air by cooling it with a refrigerant. Thus, the water vapor is condensed, and the air can be compressed. The result is dry compressed air, which can be used in compressed air equipment without causing any damage. To reduce the amount of vapor in the compressed air is also the function of the air dryer. This function is done by cold generated adsorption drying in which the compressed air of the air compressor is passed through granulates, at the same time; it also lowers the due point. 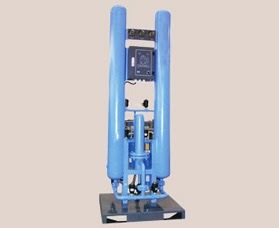 Air Dryers are used for both Industrial Applications and Residential/Home Applications. Although main and widely usage of air dryers are being found in industrial applications in many industries, there are still some areas and applications in non-commercial zone where air dryers are used. Below are the various usage and applications from both industrial and non-industrial areas where air dryers are widely used.